SEO is basically a technique to increase the ranking of the website of a particular organization or business. SEO is mainly done using plenty of schemes and to play around to promote more of your website you need to build sufficient content or links so that your business is prop up more and more. One of the ways by which you can do this is by following the link building policy. What is link building policy- the rating of a website is the main way to make it visible in the top few pages of the search engine such as Google, Yahoo!, Ask.com, etc. 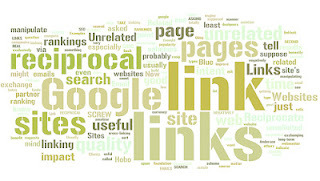 this is mainly done by techniques of SEOand Link building techniques, which is nothing butconstructing more and more acquaintances and friendly links. By doing this you endorse your products ideas to more and more audiences as well as more customers. Updates- keep posting updates of your products on each and every website you have a link on. This will gather more attention to your website than the usual. Try to post as much content as you can of the latest offers provided by your business organization and also update them at regular intervals. Participate- try contributing in small functions by offering your products as tokens of appreciation or as gifts in any social gathering. This will again build up your link and is an important tip for link building policy. Use maps- we are not talking about the regular site maps, we are talking about the office or business organization locations on a world map. By adding this feature to your website you will attract more customer and users to your company and you will also be able to accelerate the rate at which a person hits your company site as you provide all the directions to your office and its linked details. New domain names- always try to keep domain name in such a way that it is closely associated to your working environment or your company’s name or the type of products your organization produces. Domain names not only makes an interesting effect but it also puts a long lasting image in a users mind if at all the domain name is attractive and eye catching. Because most of the time people don’t even look up to the url name, they simply get their work done and move on. Keyword- the main thing which your website content should contain is the keyword which people mostly hit during searching on any topic. By increasing the concentration of keywords in your content will make it appear more on top of any web searches. So try using various popular keywords and try updating them on regular basis. Suggestions and discussions boards- a very good habit of a website developer is to make space for the people to put their comments and suggestions or complaints. Doing this will not only help the users to know more about the site but will also be a means of indirect communication to the company management. Discussion forums usually act as a guideline if the user doesn’t know much about the side. Also sometimes through the discussion boards there are plenty of keywords appended to your website without your knowledge that ultimately improves your per person hit and your rank.